The Caribou Lodge is one of Banff’s most popular hotels; built in an alpine style and beautifully decorated to create a spectacular ambience. The lobby is warm and welcoming; relax in one of the large comfortable sofas and enjoy the fieldstone fireplace as its centrepiece. 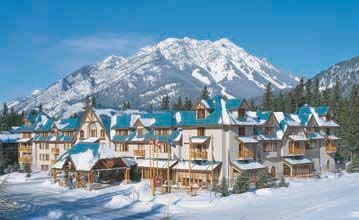 The Lodge is located just a ten minute walk from Downtown Banff with a complimentary shuttle service running from 7:30hrs – 23:00hrs and a regular ski shuttle stopping just a few blocks away. Guest facilities include the Red Earth Spa which features a hot tub, steam room, fitness room and spa treatments (payable); the Keg Steakhouse and Bar serving good food in a casual and comfortable setting, complimentary internet access and complimentary Roam passes for Banff’s transit system. All rooms were refurbished at the beginning of 2011 and feature a TV, telephone, and a tea and coffee maker. 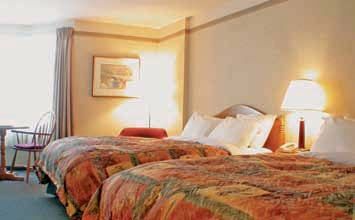 Superior rooms have a mini fridge and Jacuzzi suites have a living room with gas fireplace, a whirlpool tub with thermal air bath and mini fridge.